The coaching carousel is turning rather slowly this March, with major-conference openings currently available at Alabama, Arizona State and DePaul and nowhere else. Perhaps there’s another shoe or even two that will drop on this front, but for now the salient characteristic of this season’s job market is not only the small number of openings but also the fact that none of these vacancies were created by voluntary coach exits. To really get the carousel going you need a series of guys jumping by choice to greener pastures. 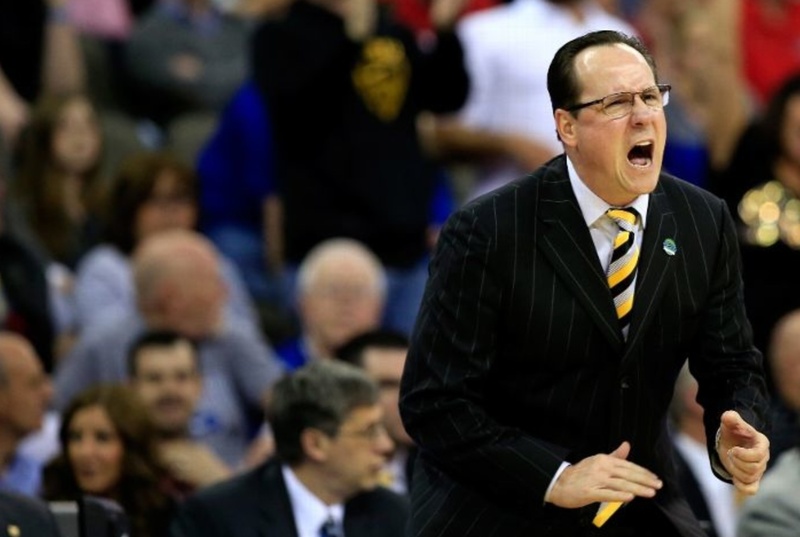 Great coaches tend to do well in the NCAA tournament, eventually, but not every team that does well in the NCAA tournament necessarily has a great coach. Not to mention “doing well” in the tournament is by custom defined as making the Sweet 16, but most of the coaches who make the second weekend in any given year aren’t looking to change jobs. There are some self-evidently great coaches on that list, no doubt, and I suppose the mean level of coaching across all 14 of these guys is indeed a level or two above what we see in D-I as a whole. But if I’m an athletic director does this list really look dramatically different from what would happen if we just picked 14 names at random from a list of coaches that got their mid-majors as far as the round of 64? In past years tournament warp’s been most extreme and visible when a writer tweets late in a close tournament game that “This is a big X seconds for Coach John Doe,” meaning if the coach’s team wins he’ll become a hot property. That’s actually not a bad reflection of athletic director thought patterns. When projected professional aptitude for the next five years is defined according to the outcome of two or three possessions of basketball, human resources aptitude has officially reached a nadir. You might just as well pick a name out of a hat. If history is any guide certainly two and quite possibly all three of the current major-conference openings will be filled by one of the 300-odd men who at this moment are either head coaches somewhere in Division I or assistant coaches at Duke. Purely from a talent acquisition standpoint, does this heavy reliance on current head coaches make sense? For instance there are more than a thousand assistant coaches in D-I, but unless you’re an assistant at Duke the chances of your next gig being a major-conference head coaching job are fairly close to zero. Are the planet’s best prospective coaches really so strictly confined to such a tiny population of potential candidates? Or are athletic directors simply following a herd instinct? These are the guys who have either “assistant coach someplace besides Duke” or “NBA” as the bullet point on their resume directly underneath their current major-conference head coaching gig. (Matt Painter is a special case, brought to Purdue as an assistant but with the understanding that he would replace Gene Keady. I consider his previous gig to be head coach of Southern Illinois. So there.) The coaches listed here went directly from some pursuit other than being a college head coach to being a college head coach — and I would argue that these are some of the best coaches in the game. And just to avoid tournament warp, let’s consider a guy from this list who’s never been to the Final Four. Look at Fred Hoiberg. Not only had he never been a head coach, he had never even coached, period. He seems to have done pretty well. Maybe there’s not really a secret sauce that one acquires only by going and being a head coach at a mid-major after all. I’m not advocating grabbing people off the street, but surely it’s no accident that very often when we see someone thrust unexpectedly into being a head coach for the first time they do just fine. There were no moments this season when Chris Holtmann had his players facing the wrong basket at Butler, or Larry Davis accidentally put six guys on the floor at Cincinnati. Perhaps the ritual of doing a stint as a head coach at a mid-major isn’t really about acquiring an indispensable corpus of knowledge. Possibly it’s mere credentialing. One thing athletic directors consistently get wrong is thinking that basketball knowledge can or does trump simple leadership. And if ever there were a time for the eye test, it’s in the coaching search. When you see a team that is abjectly miserable you are beholding a tableau that says nothing about a coach’s basketball knowledge and everything about his leadership. The key point here is that abjectly miserable teams usually aren’t at the bottom of the standings. More often they hover around .500, and in fact I even saw an abjectly miserable team win a major-conference regular-season title a couple years back. Still, the locus classicus here will always be Kentucky in 2008-09, visually speaking the single most unhappy team it has ever been my sad duty to behold. When I’m an AD (it’s only a matter of time) I’ll steer clear of even the most highly decorated coaches if I’ve seen them put an abjectly miserable team on the floor in the past. Maybe that’s just me, but if such a coach’s knowledge is desired my head coach can always bring the guy on as an assistant. In basketball as in other fields we err when we think knowledge is everything. Maybe the reason Tom Izzo is seven standard deviations better than the competition in March isn’t entirely because he’s some kind of basketball super genius but also in large part because he’s Tom Izzo. This entry was posted in hoops, HR for athletic directors, in many ways the work of a critic is easy on March 26, 2015 by johngasaway.